I.G. Currie | I.K International Publishing House Pvt. 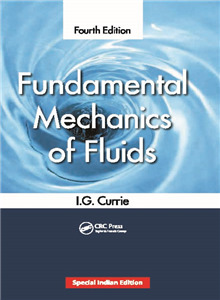 Ltd.
Iain G. Currie is a Professor Emeritus in the Department of Mechanical and Industrial Engineering at University of Toronto, Canada. He holds a Bachelor’s degree in Mechanical Engineering from the University of Strathclyde, a Master’s degree from the University of British Columbia, and Ph.D. from the California Institute of Technology. He has taught fluid mechanics at the undergraduate and graduate levels for many years. His research involves fluid structure interactions, and he has become involved in studying low Reynolds number flows of both Newtonian and non-Newtonian fluids.